After over two years of unemployment, and with significant personal struggles in her past, Jacinta felt sure nobody would employ her. She teamed up with CoAct Service Partner Community Solutions, and with their help has found hope for her future again. When Jacinta came to CoAct Service Partner Community Solutions for help, she felt unemployable. After overcoming some serious personal issues, she was stressed about finding a job where she would be accepted and struggled to find the motivation to look for work. Her employment specialists worked closely with Jacinta to rebuild her confidence and assure her that her past wasn’t a barrier to future success. With their help she was able to find the motivation to restart her life. The Community Solutions team helped Jacinta purchase some new interview clothing, bought her a bicycle so that she was able to get to and from courses, interviews and eventually a job, and helped her get her licence renewed so that when she has the funds for a car she’ll be ready to get on the road without hassle. Jacinta had always wanted to work outdoors, lacked confidence and struggled with interviews so much that she was never able to progress to the next stage of the job seeker process. The Community Solutions team encouraged her to complete a Conservation Traineeship, and Jacinta is now employed! 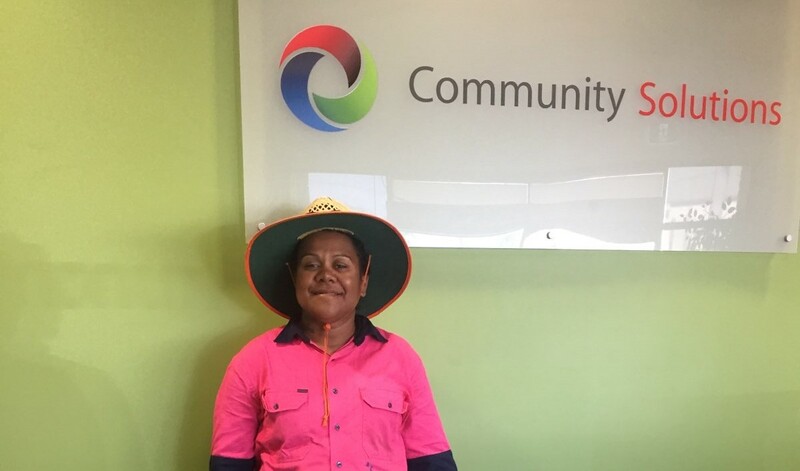 Jacinta is enjoying her newfound confidence and independence and the Community Solutions team will continue to support her to ensure she is thriving in her new job. If you are struggling with your confidence, feel lost in your employment journey, or would like some additional support in your job search, the team at CoAct can help. Contact us today to find out how we can get you on the path to success.